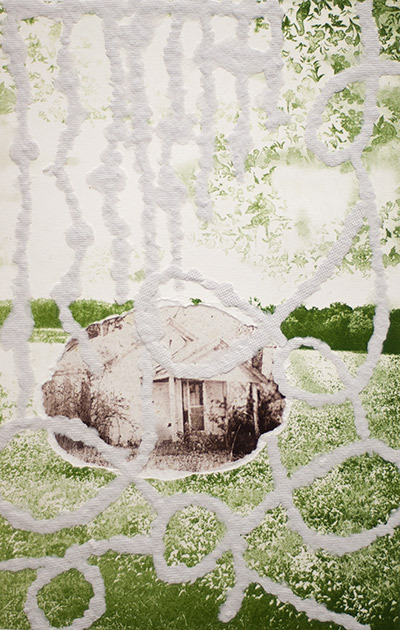 My lithographic piece Childhood Home 1 was accepted into the Art from the G.U.T.S. (Grambling University, University of Louisiana- Monroe, Louisiana Tech University, Louisiana State University- Shreveport) show in Ruston, Louisiana. The juror was Leigh Ann Chambers, You can see it at the Enterprise Center through this Friday. 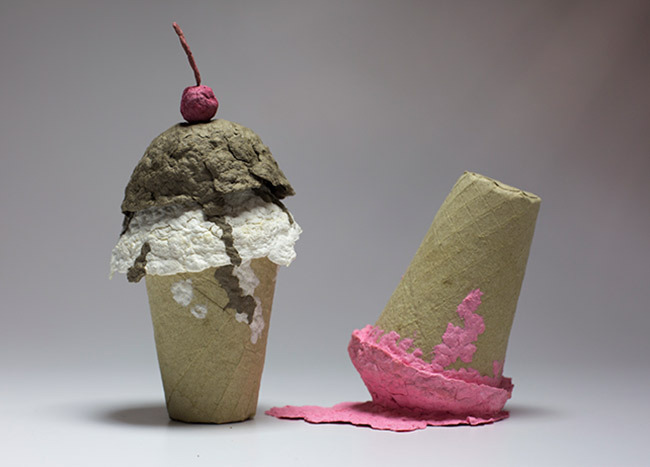 Tonight I received an email that my paper sculpture Summer’s Day Treat was accepted into Louisiana Tech University’s annual student art show. Designer Will Bryant was the juror. He received his BFA from my alma mater Mississippi State University just as I was entering the graphic design program. It will be a couple weeks before this show is set up in the art department and open for the public. Update: I received Honorable Mention for my ice cream cones! Previous Free Shipping for “A Girl Finds a Flower” Next Are You Intelligent? Are You Creative?